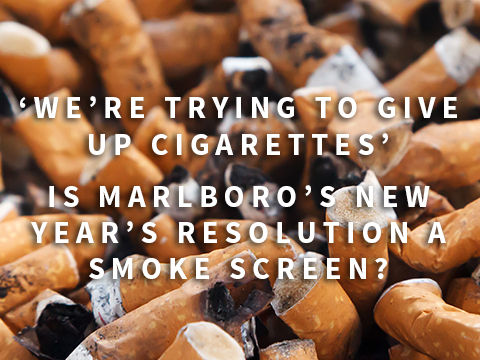 ‘We’re trying to give up cigarettes’ Is Marlboro’s New Year’s resolution a smoke screen? We all know there is no smoke without fire, but are there no smokers without Marlboro? The shocking New Year’s Resolution from Marlboro maker Philip Morris to give up cigarettes must have smokers worried, right? Smokers have already been sent outside of public places, had an increase in prices and had images of blackened organs printed on their cigarette packets. So now are their suppliers just throwing in the towel? Well no, not exactly. Marlboro boss Philip Morris announced this elaborate New Year’s Resolution on the 3rd January 2018 before most people had even managed to throw out all their empty bottles and Christmas wrapping paper. The angle Marlboro are taking is a very noble one, smoking is bad and since many people are trying to quit in January the company want to help and therefore want to remove cigarettes from the equation. However, are the company just blowing smoke? (Pun intended). Why, after all these years of supplying people with a product that can kill them, would they suddenly stop now? Out of guilt or the goodness of their heart? Marlboro have recognised that people are turning away from cigarettes and moving to alternatives such as E-cigarettes. So, they too have decided to follow this new trend. However, like with cigarettes, there are strict rules and guidelines about advertising cigarettes or smoking unless it’s in a negative ‘you’re going to get cancer’ sort of way. THIS is the loop hole. If Marlboro had simply tried to advertise the fact they are moving into E-cigarettes, oh sorry I meant ‘smoking alternatives’ (although a smoking alternative would surely be just not smoking at all but anyway), they would be unable to advertise their transition effectively. So instead they have positioned themselves among the ‘revolutioners’ and with persuasive comradery have told everyone how determined they are to change. 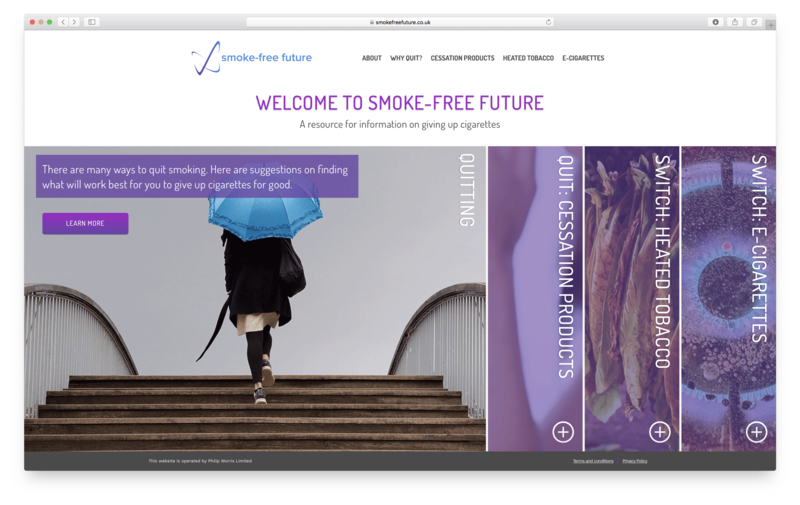 This has actually allowed them however to launch a whole advertising campaign around quitting cigarettes, a campaign a company such as Marlboro would normally never be allowed to do. In my opinion, it’s a complete smoke screen (hope you are counting these puns by the way.) By taking this angle Marlboro are getting their name out there, producing adverts, leading people to their website, and promoting their smoking alternatives. 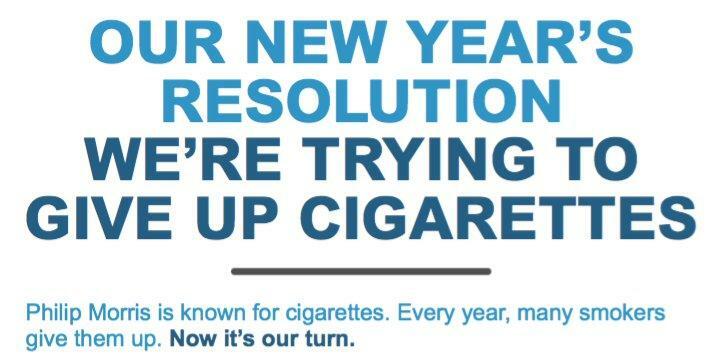 At the end of the day though, whether Marlboro are doing it for profit or not (but, they are), if it is helping people to keep their New Year’s Resolutions then is there any harm in it? At least these E-cigarettes cause less damage to smokers and the rest of us. Marlboro are loudly and proudly turning their attention to smoking alternatives and if you don’t like it then you can put it in your pipe and smoke it!